Best ImgBurn alternative for Mac to burn files to DVD on Mac. Edit videos/photos with different features before burning to DVD. Customize DVD menu with 100+ menu templates and customization features. 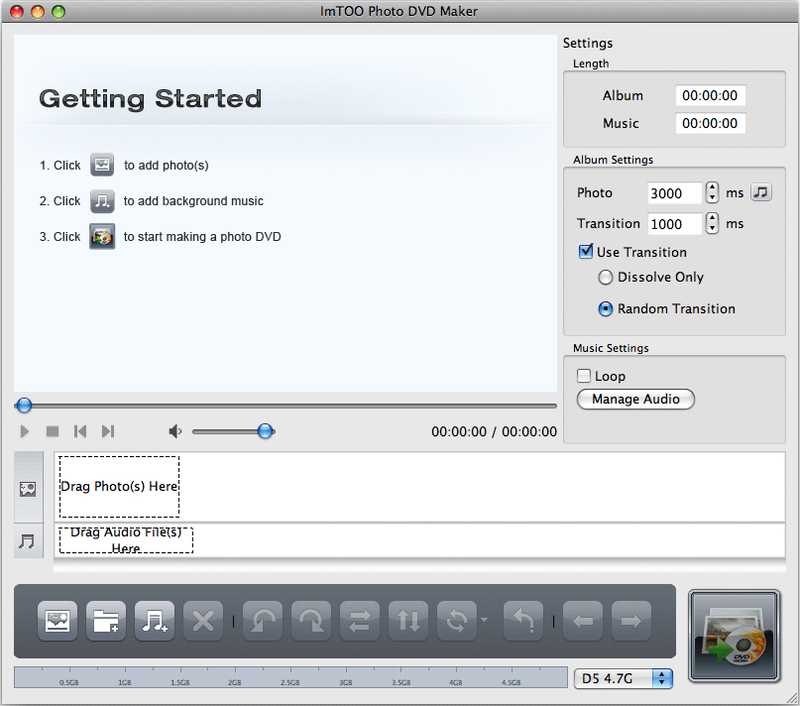 Additional functions including Video Editor, ISO to DVD, One-click Burn, etc. 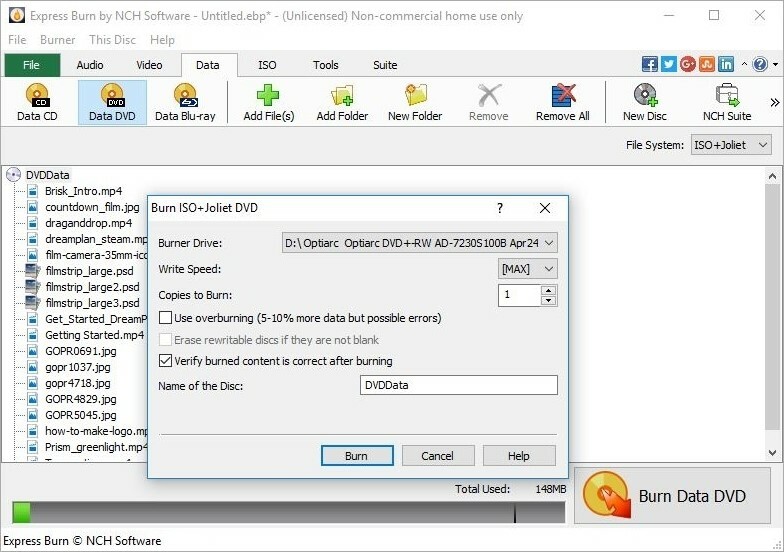 ImgBurn, as its name indicates, is a reliable free DVD burning software. It allows you to convert, build, verify and write image files to DVD and even Blu-ray Disc in different modes. However, it ONLY runs in Windows platform, including Windows 10, Windows 8, Windows 7, Vista, XP, etc. If you want DVD burning software similar to ImgBurn that works in Mac, you'll need an alternative to ImgBurn for Mac. So, if you are looking for an alternative to burn photos/videos to DVD on Mac, here listed several different software that will help you do the same things. Wondershare DVD Creator is the software that has been provided to be the best ImgBurn alternative for Mac. 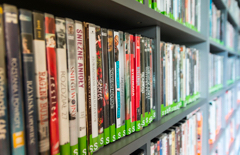 It is a complete DVD solution for the users. With the help of this software, you will be able to burn a different type of files including audio, videos, and photos. It can also burn the files to DVD folder, Blu-ray disc and ISO files. This program provides over 100 templates to customize the DVD menu and add features like music, DVD chapter creation, and others. 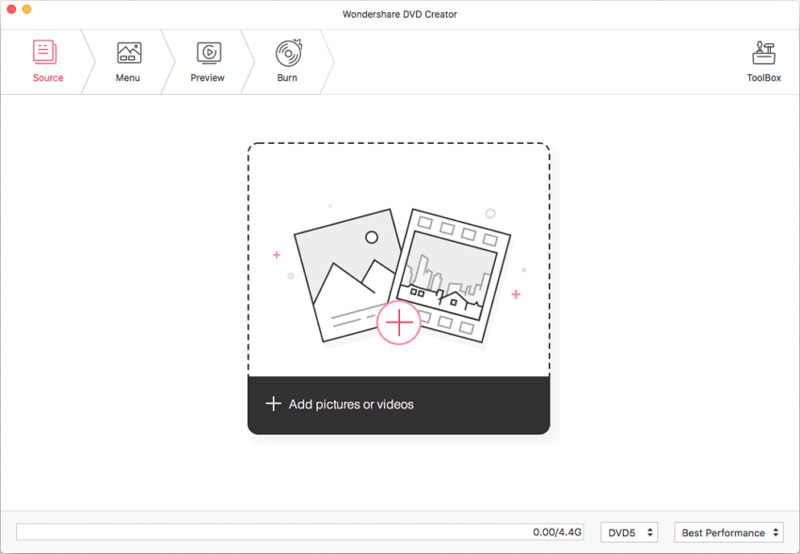 Wondershare DVD Creator also provides additional features which allow the users to burn videos from the camera, camcorders, and also smartphones. 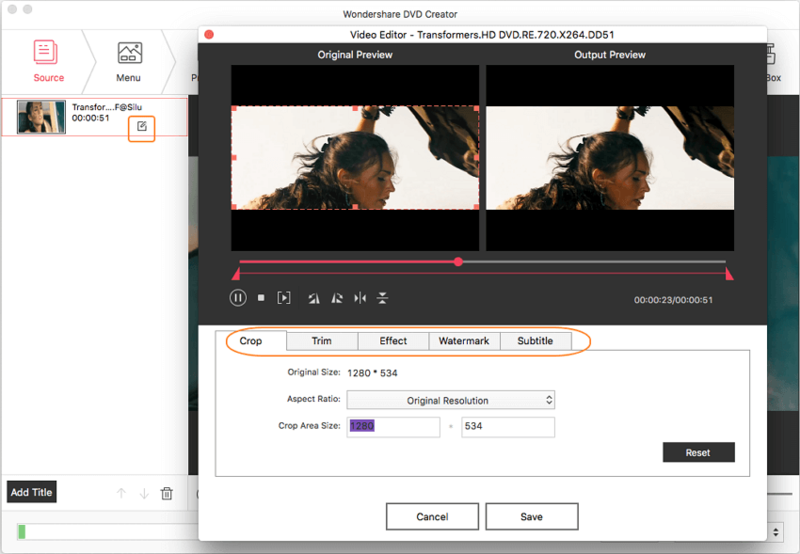 It's the fast burning speed, high quality output, and multiple functions that make Wondershare DVD Creator for Mac the best software to burn videos, audio and image files. 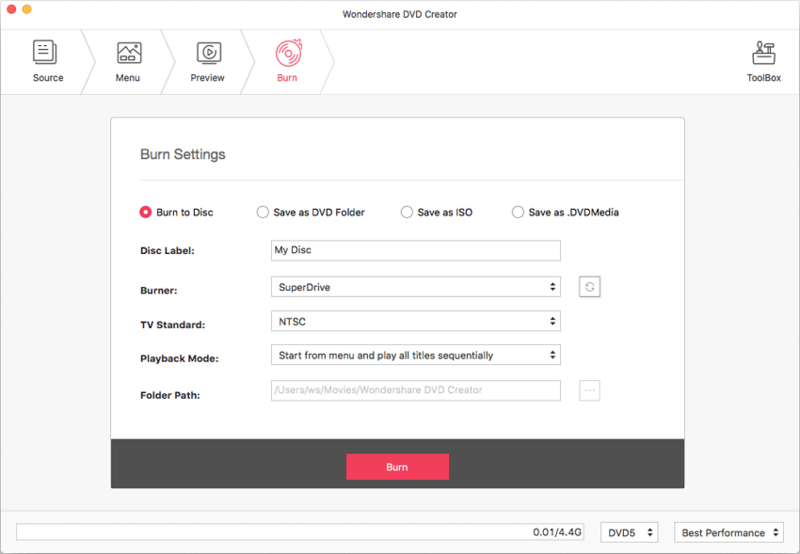 · Best ImgBurn for Mac alternative to burn videos/photos/audio files in any format to DVD/Data Disc/Blu-ray Disc/ISO Files. · Burn videos/photos to DVD on Mac with real-time preview, super fast burning speed, and high-quality output. · Select DVD menu templates from 100+ free static and dynamic designs with Travel, Movie, and other themes. · Further customize DVD menu with features of text, music, background picture, chapters, and others. · Toolbox with additional functions including Data Disc, ISO to DVD, Photo Slideshow, Video Editor, One-click to burn DVD/Blu-ray Disc, etc. This video tutorial is based on Windows version, but Mac users can also follow it as this two have very similar steps. 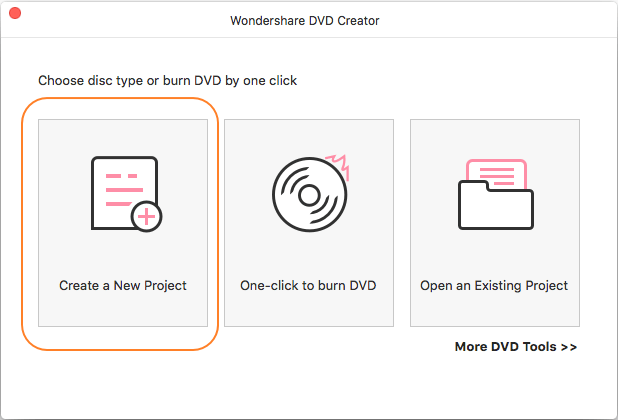 At first, download and install the Wondershare DVD Creator on your Mac and launch it. Choose the option of Create a New Project on the homepage. In this step, click the + icon to add your files to ImgBurn alternative from your Mac. You can also use the drag-and-drop method to add the files to the program. All imported files will be displayed as thumbnail on the left panel. Now, you can edit your videos if you want. Click the pencil-like icon when you move the cursor across the thumbnail. You are allowed to edit videos with trimming, cropping, adding subtitle or watermarks, and others. After you have done the editing, move to the Menu tab to select menu template for your DVD from 100+ free templates displayed on the right panel. You can also customize the background music, add text, adjust the aspect ratio, add an image, and edit thumbnail by clicking the icons under the menu bar. Move to the Preview tab to check all your creation. You can make changes if there is something you're not satisfied. Finally, go to the Burn tab and choose Burn to disc option, select all Burn Settings it asked. Then click the Burn button to burn videos to DVD with ImgBurn alternative on Mac. ImTOO is the ultimate alternative for ImgBurn to burn photo to DVD on Mac. It has enough capability of converting and burning multiple photos to DVD with ease. Along with burning feature, it offers customization features to add cool effects to your DVD. It is one of the tools that enhance the burning and conversion speed to great extent. It burns DVD without losing a quality. It has made very easier for Mac users who want to convert their all photos to DVD to cherish their photos anywhere. It is not just burning photos to DVD, but it is a complete photo album maker that can help you in creating a great slideshow of your photos with excellent effects. You can have almost hindered fade-in or fade-out effects in this software. It can even create ISO files with ease. It offers almost every feature that can cover the requirements of every Mac user. It has a high burning and conversion speed. It allows you to add music to your photo slideshow. Its interface is integrated with many languages. It is very easy to operate and use. In merging multiple files, it creates issues. Its customer support service is bad. 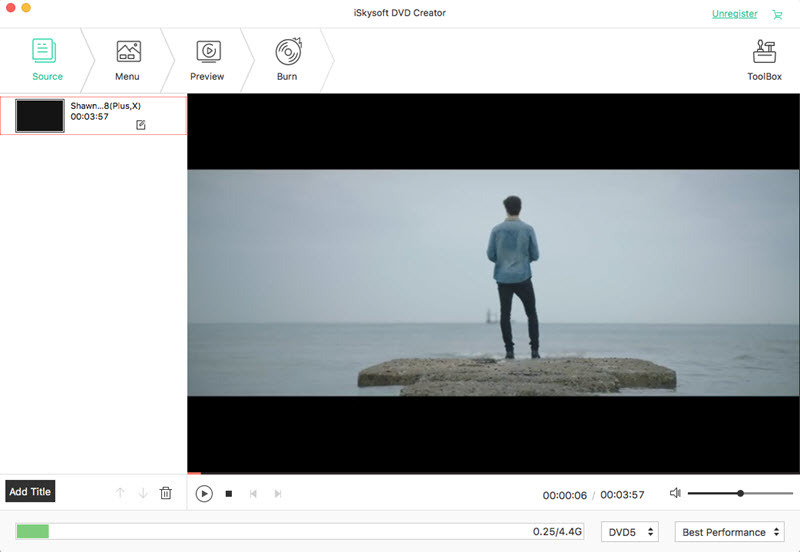 iSkysoft is a very popular software that can help you to create a professional looking video with an ease. The software can work with a variety of formats and is suitable for the burning of files to DVD. It is the appropriate ImgBurn alternative that works completely fine with the Mac OS. With the help of this software, you will be able to burn a variety of formats to DVD easily. The software has its own editor that can be used to trim, flip, rotate, and add watermark to the photo before you burn it on DVD. You can also personalize the photo by changing its size and color. You can create an entire slideshow of photos with the help of this software and add different templates to match the theme of the photos. You can freely create photo slideshows with music and gift it to someone special. You will get a lot of DVD templates to match the theme of the photo or slideshow. 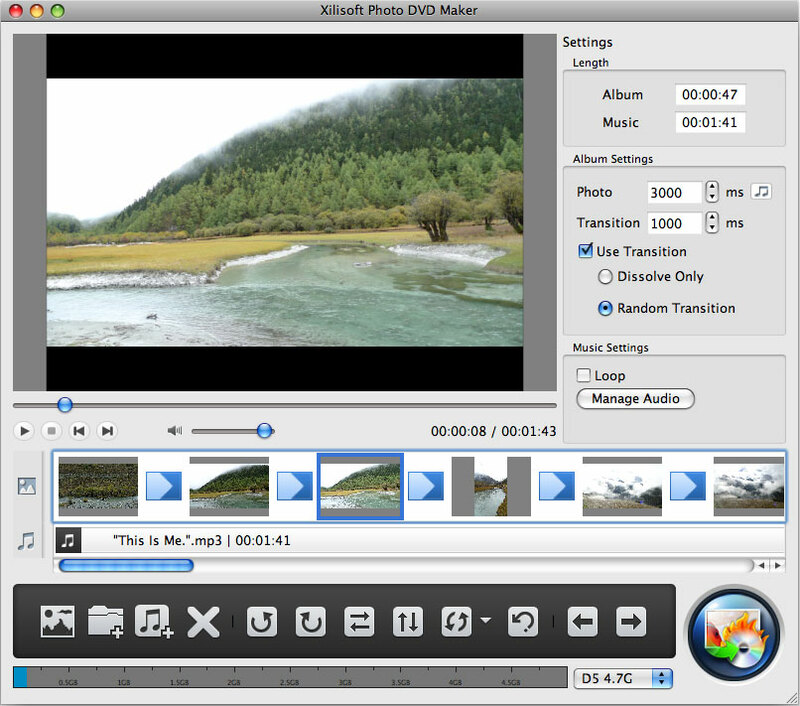 Easy to use editor before burning the photo or video to DVD. The software is supported by both Mac and Windows. The software only provides DVD burning function. The DVD menu customization is limited. Xilisoft is really the most convenient way to preserve a lot of photos. Whether you just want to keep them safe in a DVD or you want to enjoy by viewing them on different platforms without flipping, the Xilisoft is the best for users to burn photo to DVD on Mac without going through a complex process. it is a complete solution for the users to convert your entire photo collection to DVDs. Just a simple conversion and you will be able to watch your photos on any platform. The Xilisoft Photo DVD Maker is the ideal method as it will burn the photos without any quality loss. Along with the Photo burning, the software also allows the users to make a Home DVD and apply various effects on the photos and perform additional customization like cropping, trimming, rotating, and some others. The software is fast and easy to use. The photos won’t suffer from any quality loss. The software is missing some quality customization features. It can’t split a disc into smaller discs. Simply Burns can burn photo to DVD on Mac without any issue. This is open source software which has the simplest Graphical User Interface. The software is very easy to understand and operate. Even the first time user will be able to use the software without any technical knowledge. The application will allow the users to burn the photos, videos and other media files to DVD and CD both. The best feature of the software is that it can burn the photos without resulting in any kind of quality loss of the photos. It provides a different mode for burning of different formats such as audio and data project, duplication mode, disc ripping mode and burn image mode. It also allows the users to store the project on the hard disk and more than one project can be created at once. The software is supported by the Mac OS X 10.4 and 10.6. Simply Burns for Mac offers an array of activities for burning disc. You can also save the projects on the hard disk. The multi-session support is not provided for all the file systems. The DVD template and customization function are lacking. 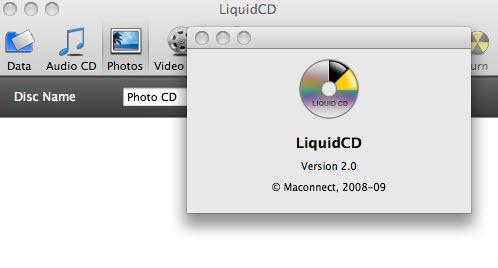 As the name suggests, the LiquidCD software is another option the users have to burn the photos to DVD on Mac OS. The software is supported by the Mac OS X 10.5 and above versions. It is decent software which is most suitable for an ImgBurn alternative for Mac software. It is simple software that allows the users to burn the photos and videos to DVD. It also supports the burning file of the audio files and music files to a CD. The software also offers an option which allows the users to burn Dreamcast CDs if the multi-session burn option is left unchecked. The software has three main functions listed as CD Burning, DVD burning, and the photo option. The users can also create an ISO image file if needed. The software has a very simple interface which is also easy to use. The file format support is amazing. The software has no preferences. Some bugs have been reported in the software. Burn software is another alternative of ImgBurn for Mac which is simple but still powerful. This software supports almost all the different types of files that can be burned on DVD or CD. It provides an interactive menu and you can also customize the theme while burning the photos to a disc. The most amazing feature of this software is that it allows the users to select various file systems to share the files between different platforms. The software also allows the users to change the advanced settings of the photos such as permission, file date, and others. The file conversion feature is also supported by the Burn software. This software is completely free to use. It is an open source program. This software supports a variety of formats that can be burned on DVD. The DVD customization options are also lacking in the software. The DVD templates have limited options. Express Burn DVD Maker is the perfect ImgBurn alternative for Mac. The software is supported by the Mac OS X 10.5 and above versions. It is also supported by the Windows. The Express Burn is the software which allows the fastest burning of the photos, videos, and audio files to CDs, DVDs, and Blu-ray discs. Although the software is paid it also has a free version that allows the users to have an experience of the software before they buy the paid software. The free software only allows the users to burn the media files to CDs only. It is the paid version which supports all the features present in the software. It also ensures that your photos won’t suffer from any type of quality loss while and after it gets burned by the software. Fast speed of burning and support multiple file types. It allows the users to create and manage disc chapters. The software can’t burn MP3 to DVD. Now you have 8 methods to burn videos/images to DVD with ImgBurn alternative on Mac. 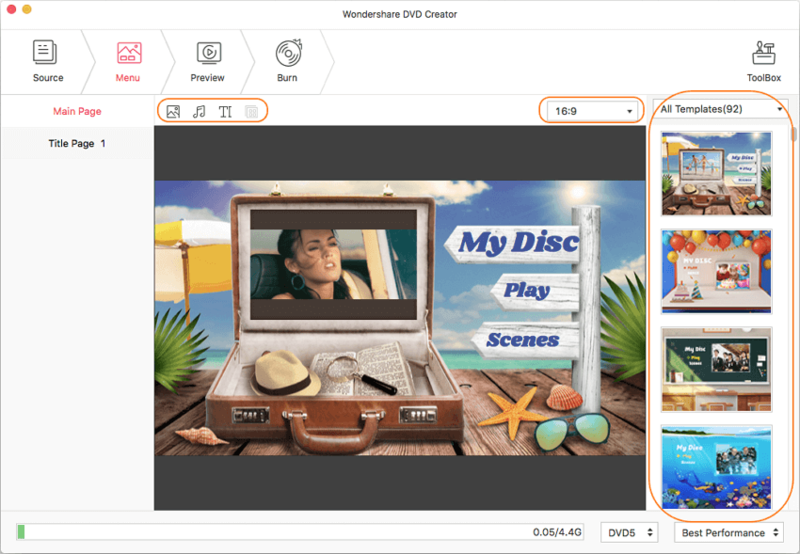 Choose one tool you like to create a DVD on Mac easily and quickly, however, we always recommend you Wondershare DVD Creator, the best all-in-one DVD tool.